The Relaxus Harmony Massage Roller Ball is a simple but powerful massage tool. This Massage Ball Roller has an easy grip, multi-directional rolling head and ergonomic design ensures an effortless, yet stimulating deep-penetrating massage or a light massage depending on the press you control and use. 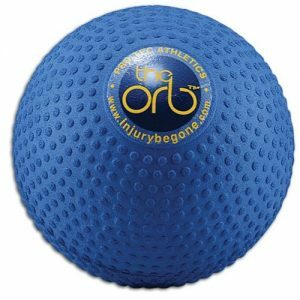 It has an ergonomically designed base is easy to grip while you roll the ball over the sore area. 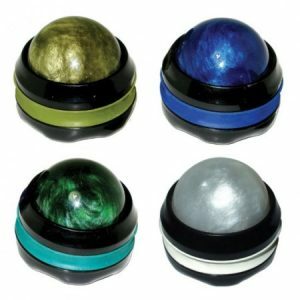 This easy to use low-tech roller ball consists of a smooth plastic ball that rolls freely in an easy-to-hold plastic base. 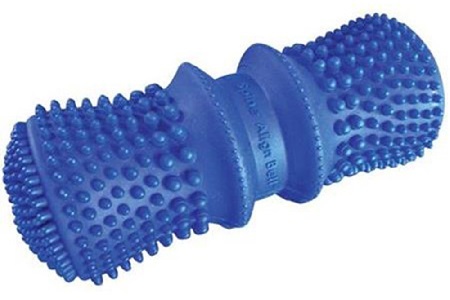 Instantly relieve stress, muscle aches and pains, by using this smooth rolling ball. Rolling the ball on the achy muscle massages and relaxes the tissue while increasing blood flow. 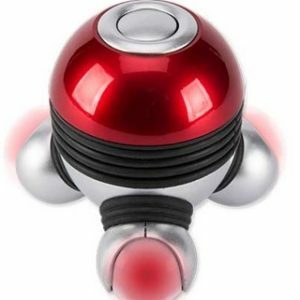 Helps relieve stress, give you a great relaxing massage and best of all it is powered by the pressure of your hand. Pressing the ball firmly down on knotty muscles has the same effect. Relieves stiffness and muscle soreness after a long day. These rollers roll right over knots and works them right! The rollers are just the perfect size for self handling and are small enough to fit in your bag or pocket. The fact that it’s small and doesn’t need electricity means it can go anywhere you need it. Easy to take with you when you travel. Whether a light massage or deep tissue, the rollers are easy to use and controlled with the pressure of your hand. Easy to use and control pressure of the massage by the pressure of your hand. Good for use on yourself or others. Sturdy construction and rolls smoothly for easy massaging. Clean with soap and water and dry thoroughly.